For thousands of years, surgical procedures have been performed conceptually in the same way - with an incision. Over the last several decades, however, there has been a dramatic increase in minimally-invasive and non-invasive treatments being offered for various diseases. Indeed, the tumour ablation market is expected to be worth $1.5billion globally by 2022. Non-invasive treatments are helping to put the patient back in the equation by reducing the risks and complexities that accompany many invasive surgeries, such as infections, lengthy hospital stays, and long recovery times. Non-invasive surgery also frees up beds in hospital wards, which would alleviate the pressures currently faced by the NHS. A report on NHS performance in December 2016 and January 2017 by the Royal College of Physicians found that staff are asking the ‘least bad’ patients to give up their beds to other patients and to sleep in corridors. Furthermore, managers are side-lining proper infection controls in order to hurry new patients into recently-vacated beds. Not only does this jeopardise a patient's recovery, but it also means managers are being forced to prioritise bureaucracy over patient care. MR-guided focused ultrasound combines two well-known and proven technologies, ultrasound and MRI, to surgically treat patients in a non-invasive manner. The treatment allows surgeons to focus ultrasound waves to heat and ablate a targeted area of unhealthy tissue, without incisions. 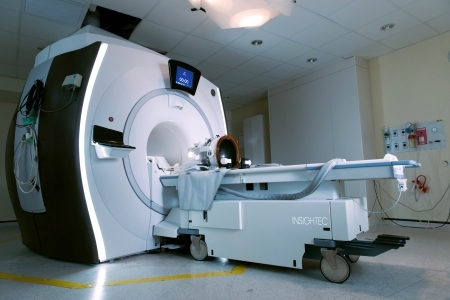 MRI imaging is used to plan the patient-specific treatment, identify the target, and provide real-time thermal feedback to monitor the procedure. Non-invasive surgery sounds like a misnomer. In reality, by treating disease without cutting into the patient’s body, many of the risks associated with surgery, such as bleeding or infections, are all but eliminated. Furthermore, hospital bed space is freed up as patients are often able to go home the same day. Finally, recovery time is far quicker than traditional surgery, with patients able to resume their lives within days. This holds the potential of having a considerable impact on reducing healthcare costs. 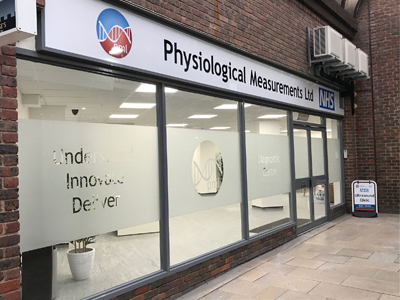 MR-guided focused ultrasound technology developed by INSIGHTEC is approved in the UK to treat a range of conditions, including prostate cancer, essential tremor, tremor-dominant Parkinson’s disease, neuropathic pain, uterine fibroids, and pain palliation of bone metastases. Recently, MR-guided focused ultrasound was featured on the BBC, as the technology was used to treat a British patient with essential tremor at St Mary’s Hospital in London. Essential tremor is a neurological condition that affects an estimated one million people in the UK. It causes uncontrollable shaking of the hands, head, and other parts of the body. While medication is normally prescribed by doctors, many patients see little alleviation of symptoms and be offered surgical intervention. Current treatment options include RF thalamotomy, and deep brain stimulation (DBS), both of which are invasive, surgical procedures. RF thalamotomy requires inserting probes deep into the brain, while DBS involves placing electrodes in the brain, and fitting a pacemaker-like device into the chest. The patient is required to have additional interventions for a lifetime of maintenance. Today, thalamotomy can be performed through an intact skull using MR-guided focused ultrasound. The procedure typically lasts 3-4 hours and many patients often experience an immediate improvement in their tremor. As MR-guided focused ultrasound becomes more widely available, neurologists are presented with an opportunity to offer a non-invasive treatment to patients who thought their options were limited to medication or invasive brain surgery. Surgery can often be a frightening prospect and more than half of all patients feel anxious about it. Going ‘under the knife’ is not a decision to be taken lightly, and can be stressful for both the patient and their family. Awake procedures are becoming common and, indeed, during treatment for essential tremor, patients remain conscious throughout the procedure, communicating with the treatment team and providing important feedback on the treatment. MR-guided focused ultrasound is changing our concept of surgery. Incision-less surgery for essential tremor meets the needs of surgeons and patients alike - minimised to no risk of infection, reduced time in the hospital, and a rapid return to a symptom-free life.